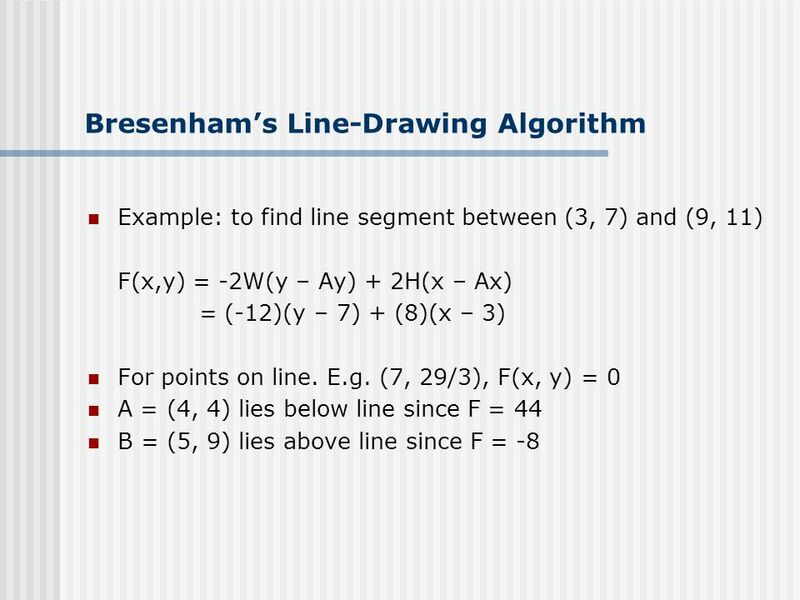 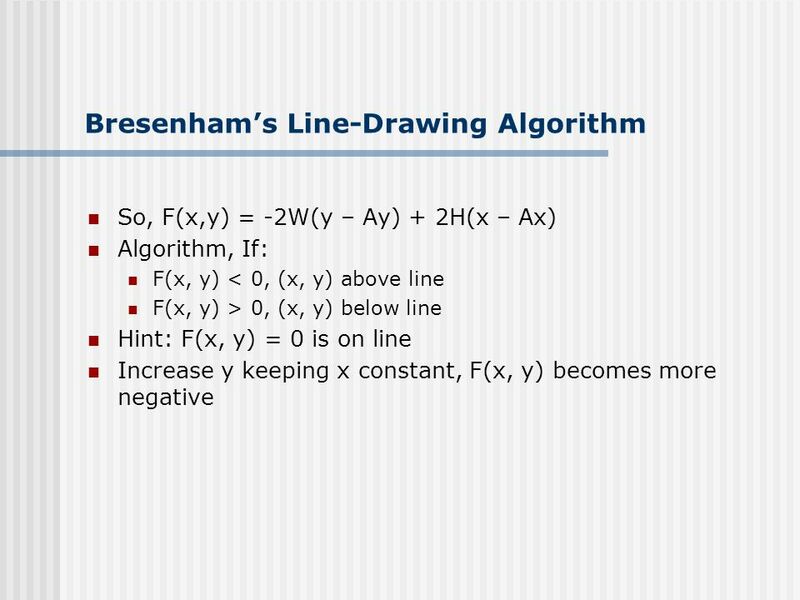 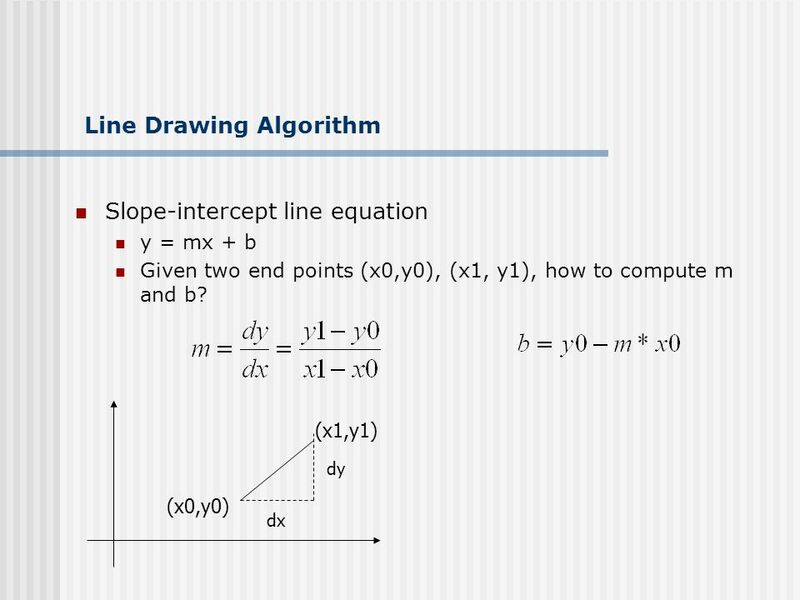 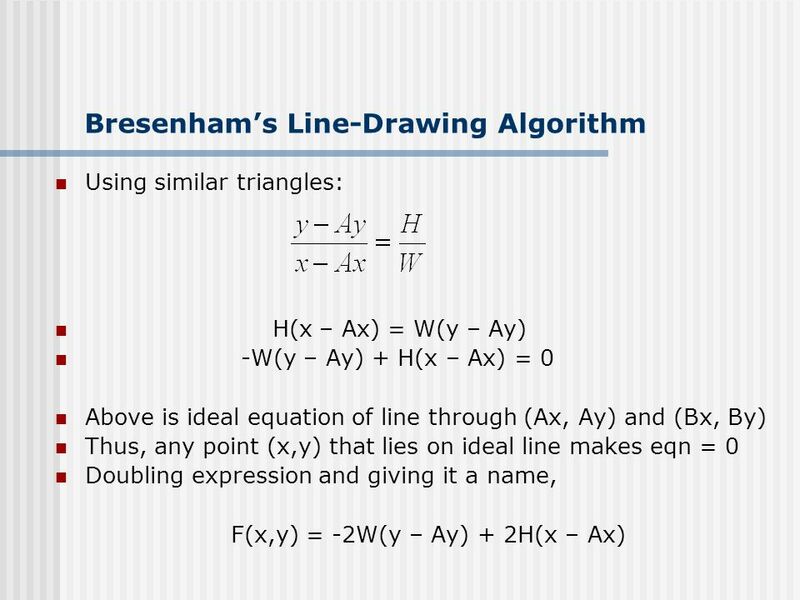 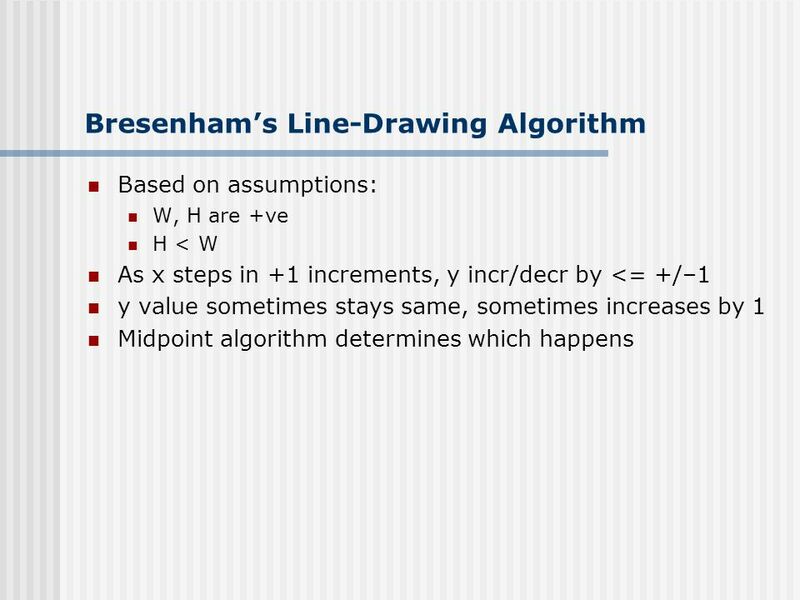 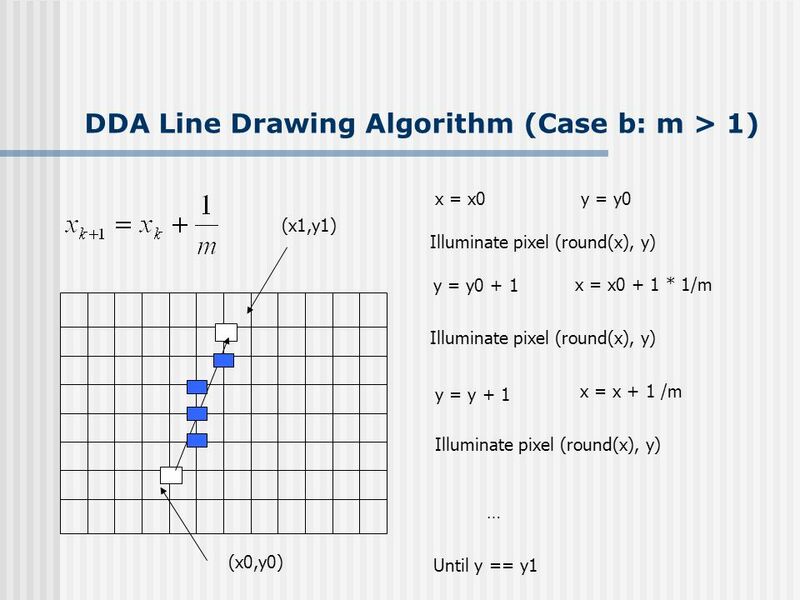 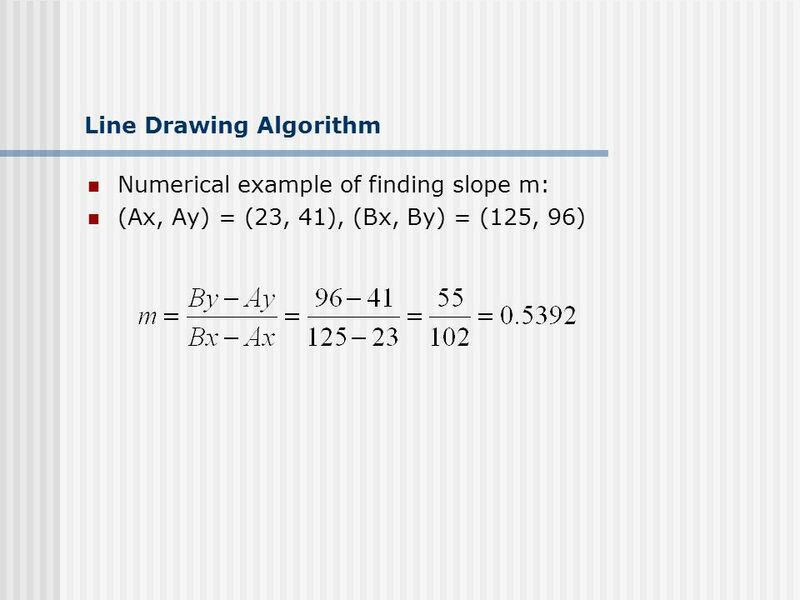 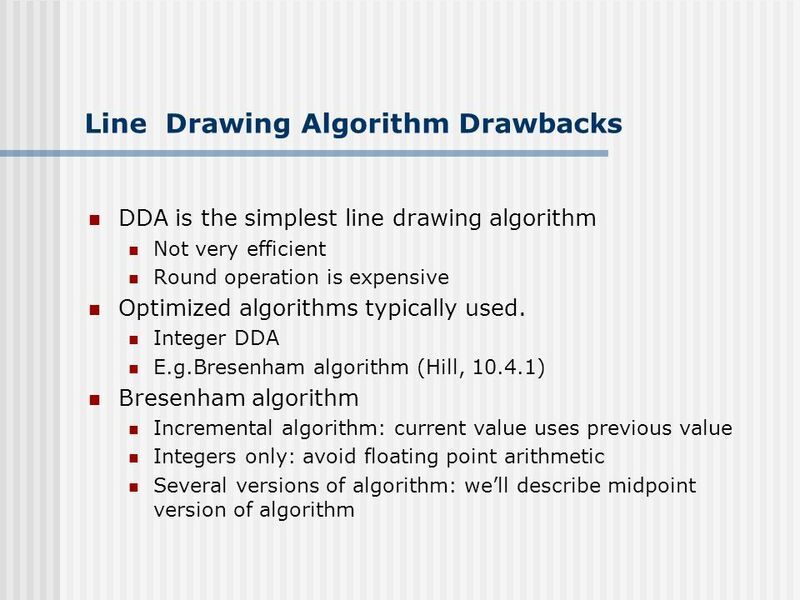 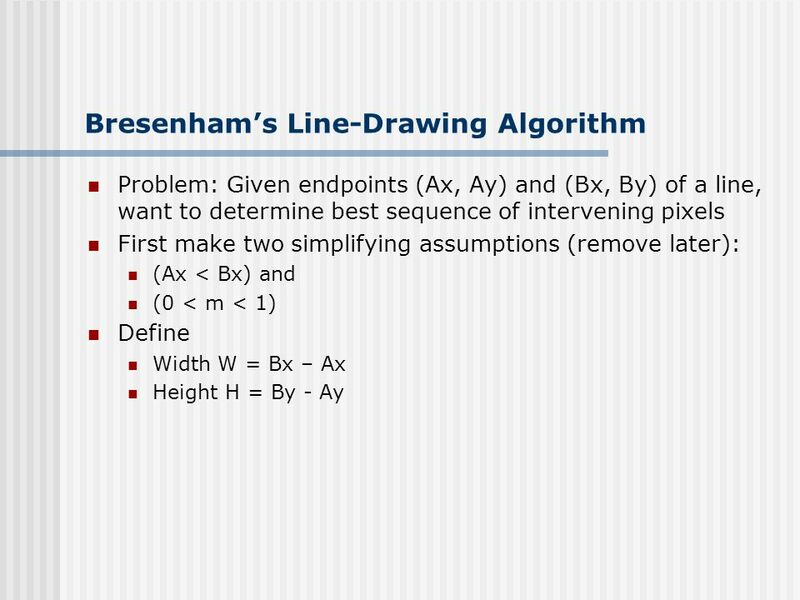 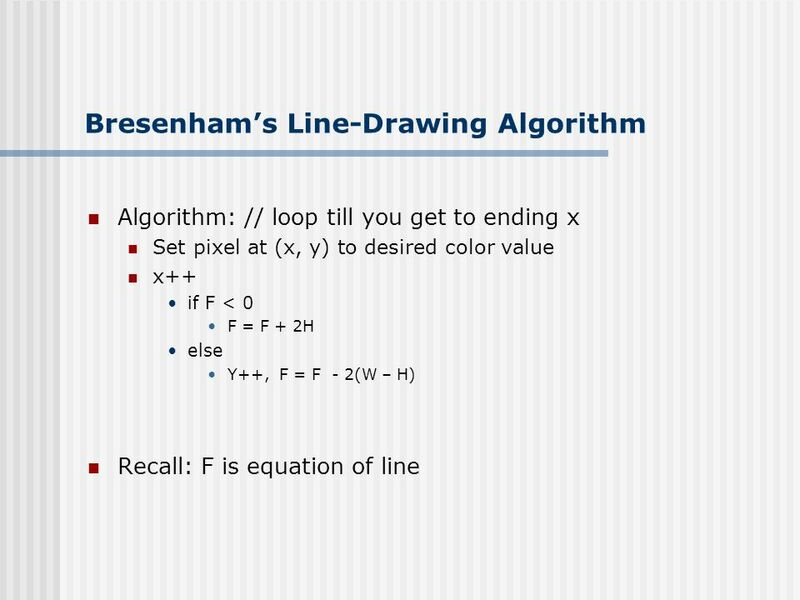 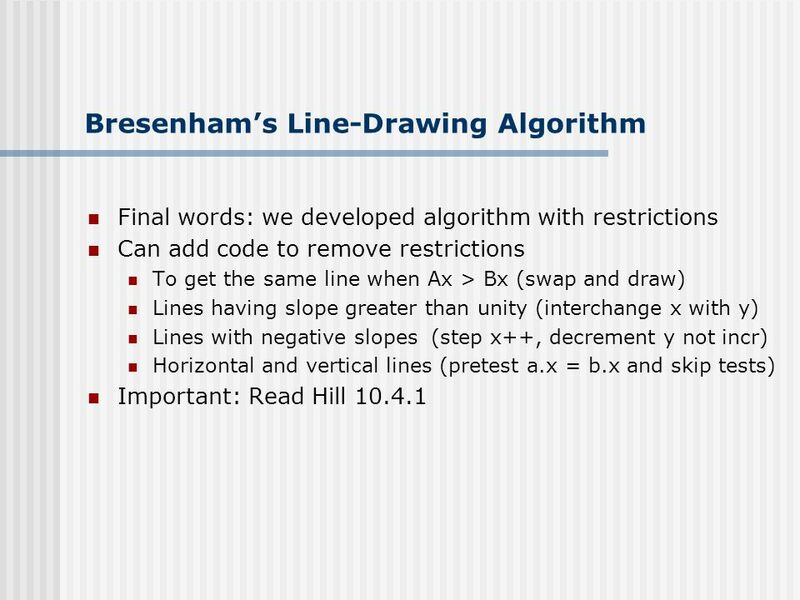 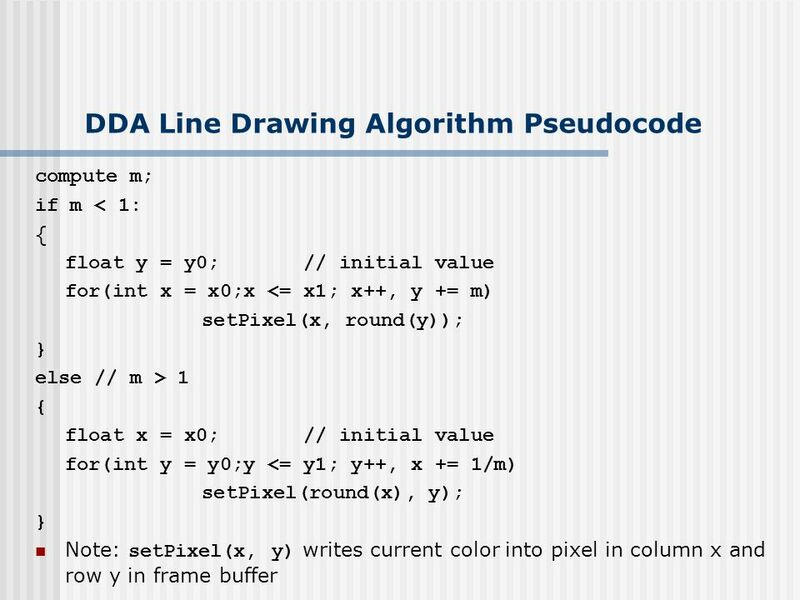 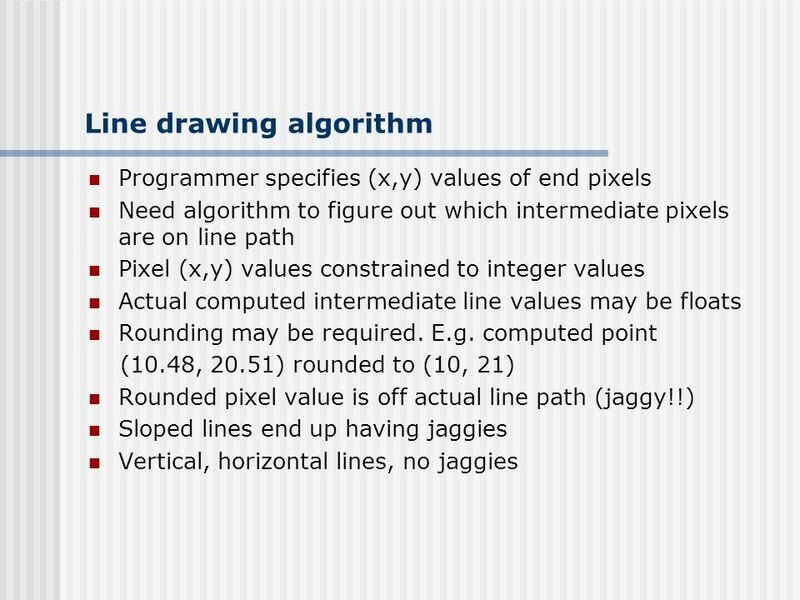 7 Line Drawing Algorithm 0 1 2 3 4 5 6 7 8 9 10 11 12 8765432187654321 Line: (3,2) -> (9,6) ? 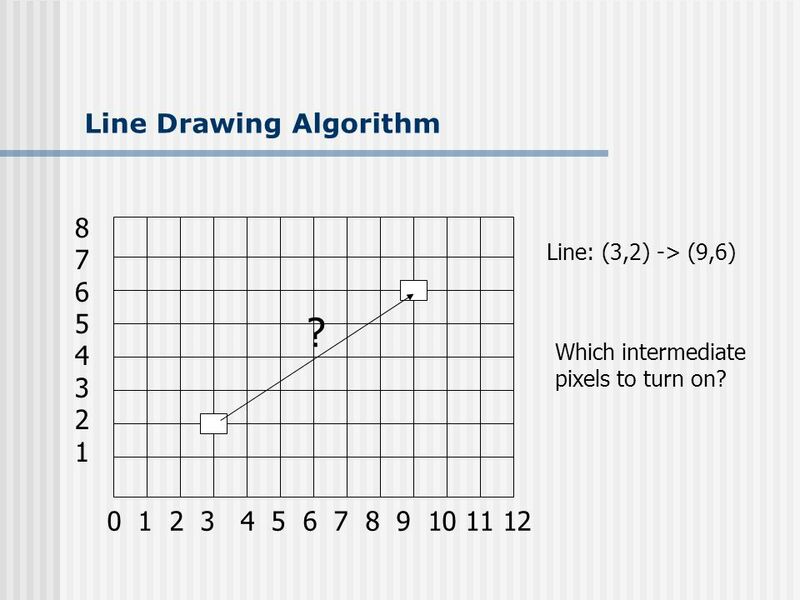 Which intermediate pixels to turn on? 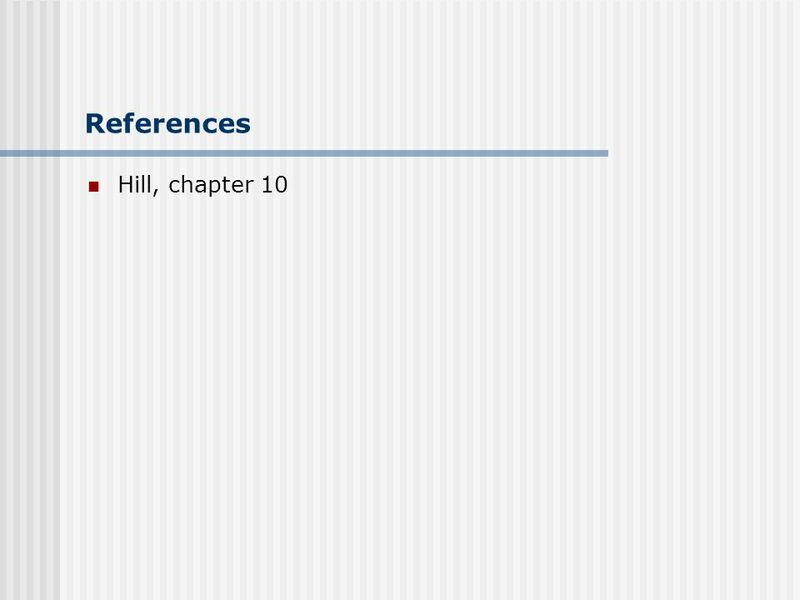 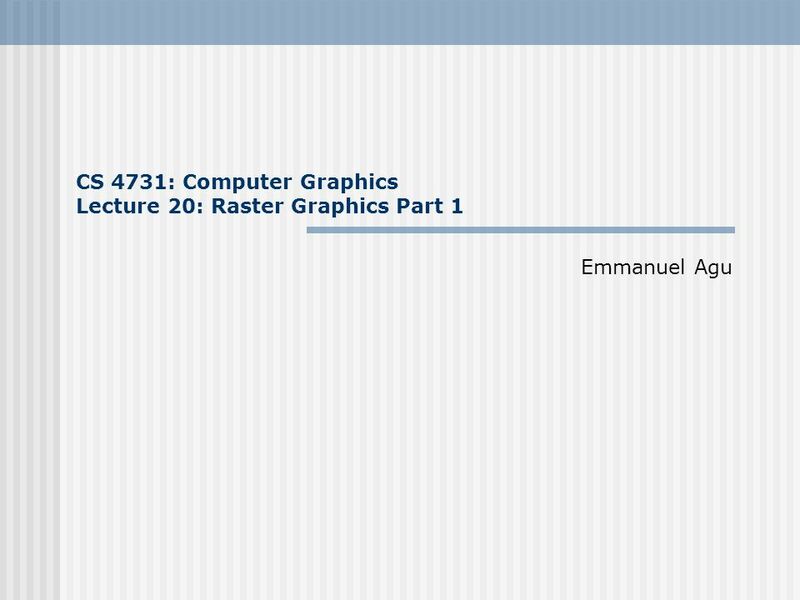 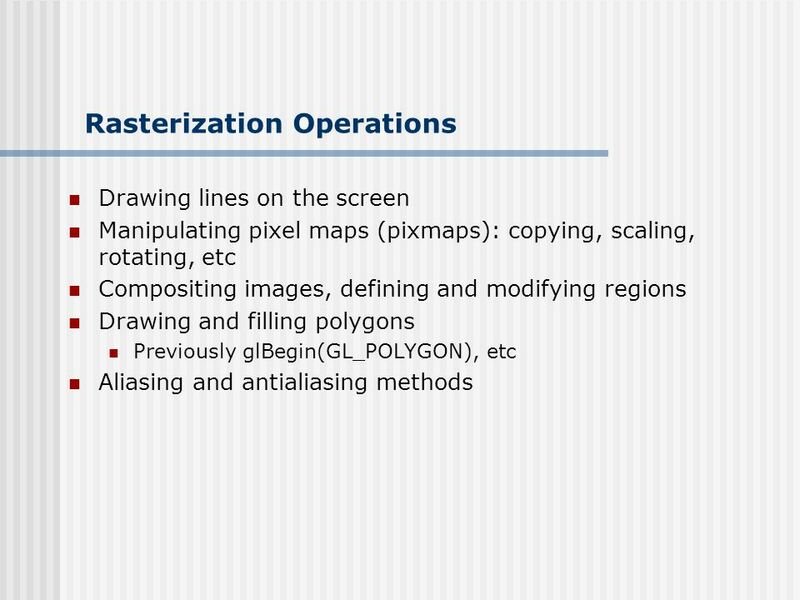 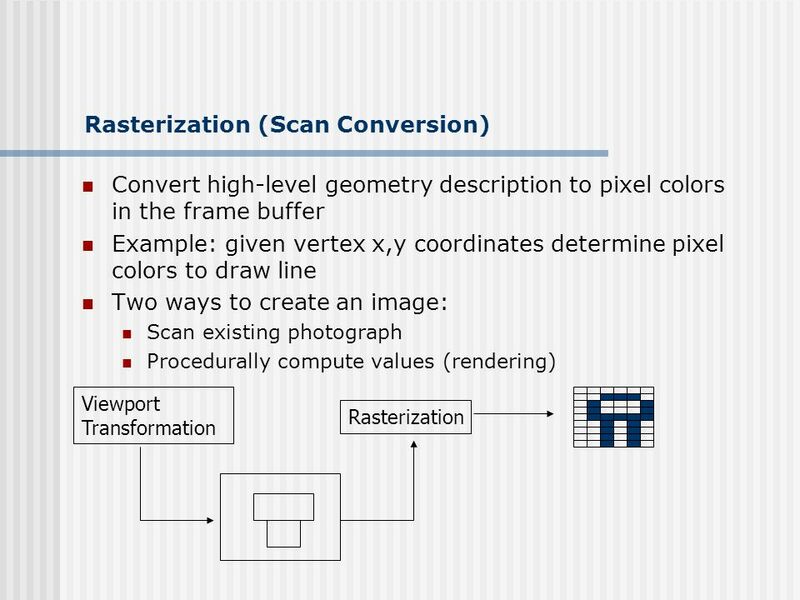 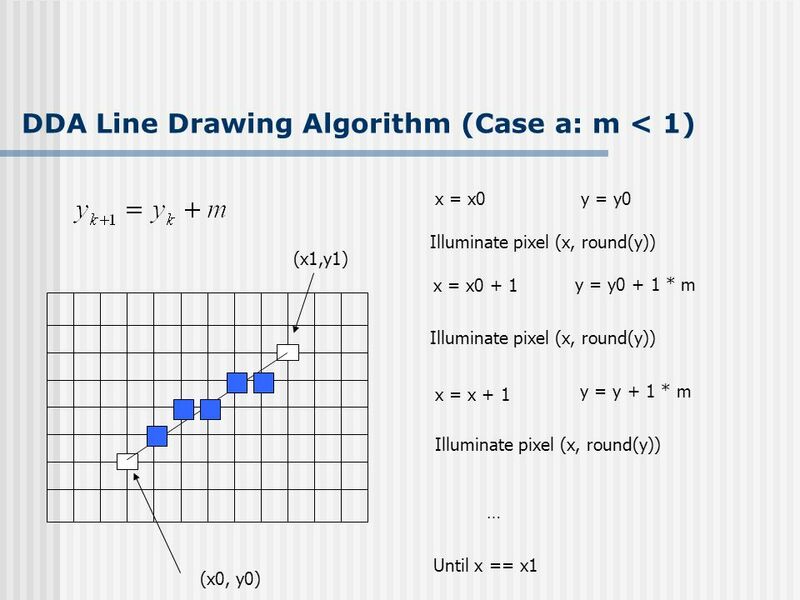 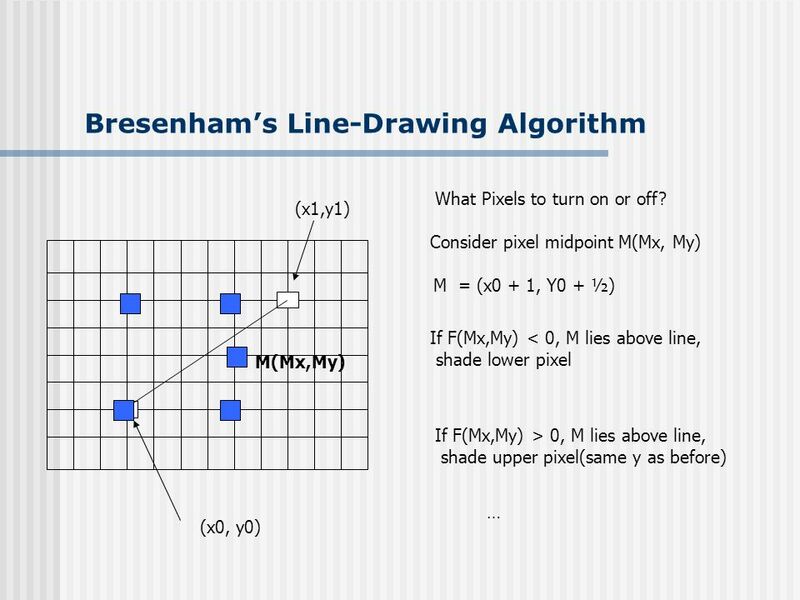 Download ppt "CS 4731: Computer Graphics Lecture 20: Raster Graphics Part 1 Emmanuel Agu." 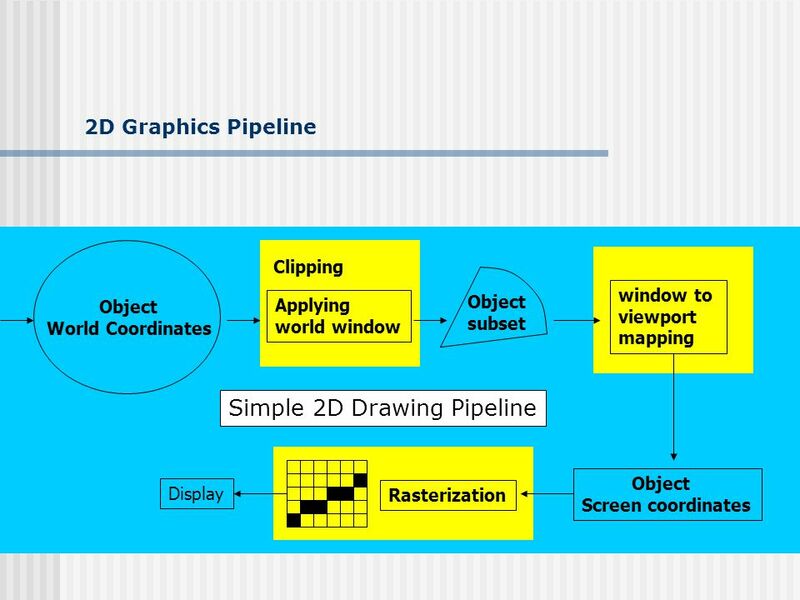 OUTPUT PRIMITIVES Screen vs. World coordinate systems ● Objects positions are specified in a Cartesian coordinate system called World Coordinate. 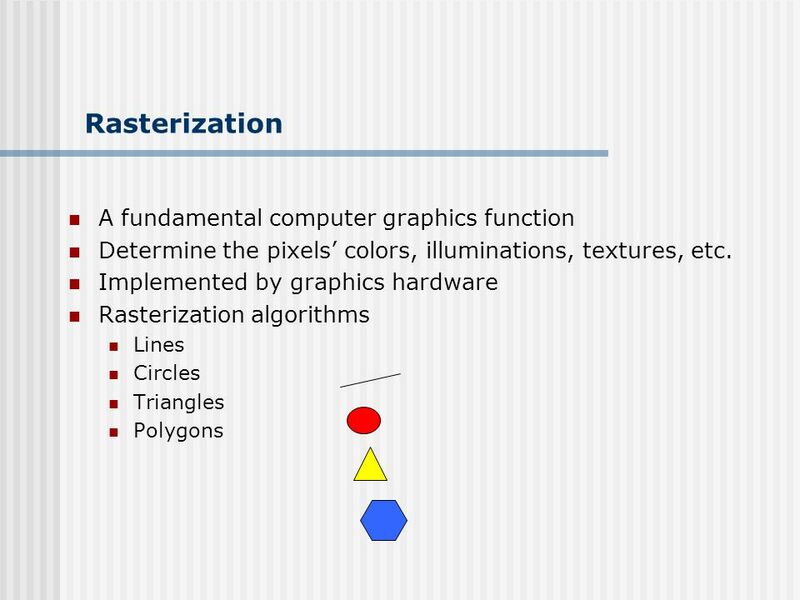 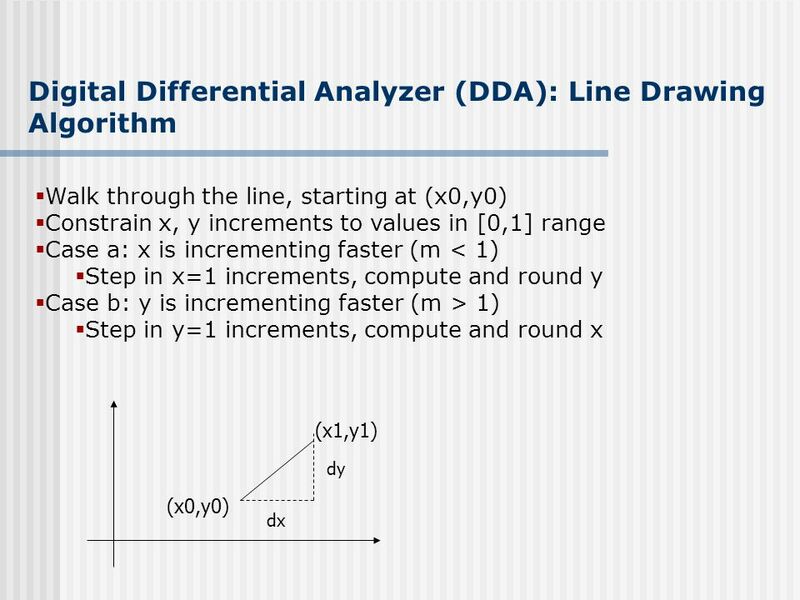 Computing & Information Sciences Kansas State University CIS 536/636 Introduction to Computer Graphics Lecture 6 of 41 William H. Hsu Department of Computing.